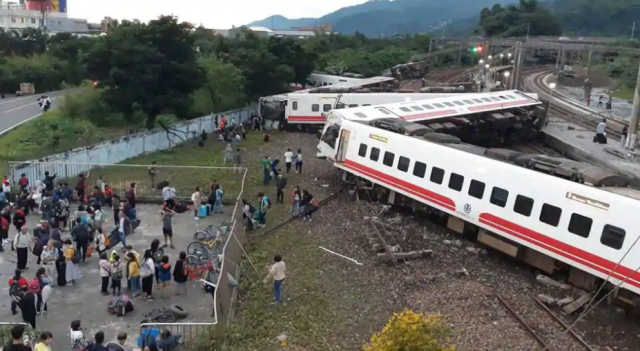 At least 22 people were killed after a train derailed and flipped over on a popular coastal route in Taiwan on Sunday. The railway administration said that 171 people have been injured in the accident. All of the train’s eight carriages had derailed, and five had flipped. The exact cause of the accident has yet to be determined.